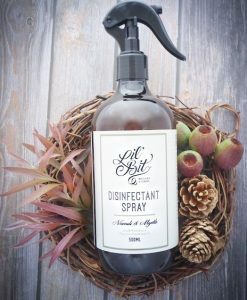 This all-purpose Niaouli & Myrtle spray is made with the highest quality, potent organic essential oils to keep your home free from germs, viruses and bacteria.It is made in small batches from simple, natural and organic ingredients. Myrtle is also a great antibacterial and has an aroma that’s slightly camphoraceous – much like Eucalyptus, but softer and sweeter. Mixed with the citrus and floral scents also in this spray, your home will smell divine.